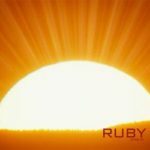 Ruby the gemstone for Sun is acclaimed to be the one of the most impressive and effective gemstones among all other gemstones. The Sun which is identified as the source of life on the earth creates a significant impact on all the living creature. It is also a universal truth that without the presence of Sun life can’t be imagined on this planet. The sun signifies energy, self-confidence, communication, blood circulation and passion in the lives of all living creatures. Therefore, it depicts the importance of the Sun every living creature can’t sustain on earth without the presence of the sun. Hence, due to substantial characteristics of the sun, every individual captivate to attain the positive energy of the Sun in their lives. 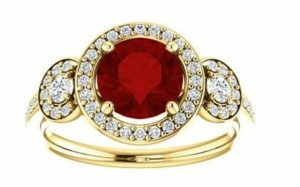 Apparently, the ruby gemstone contains the potent powers of the Sun and it influences the lives of its wearer by transferring the enrich properties of the Sun in the lives of the wearer. Despite, being endorsed benevolent gemstone for everyone ruby is acknowledged benign for those individuals that born under the month of July or under the sign Libra. Whereas, other zodiac sign individuals can also wear this gemstone. Thus, on the basis of the above line, we would in detail describe the benefits of wearing ruby gemstone for all zodiac signs like Aries, Taurus, Gemini, Cancer, Leo, Virgo, Libra, Scorpio, Sagittarius, Capricorn, Aquarius, and Pisces. 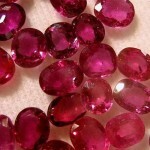 Ruby gemstone is the gemstone of planet Sun. Meanwhile, sun shares a healthy relationship with the planet Mars, which is regarded as the governing planet of Aries. Thus, wearing ruby gemstone proves extremely benevolent for the ascendant of Aries. Especially, if the Sun is positioned in the 5th house of Aries native, eventually, being a native of the 5th house the stone ruby bring miraculous results for Aries ascendant. It will enhance the chances of promotion in a government job and deviate mind toward positive thinking. Furthermore, the sun will also bring auspicious results if it is situated in 3rd, 6th or 11th house such as intellect, wealth, self-confidence, fortune. The ruling planet of Taurus is Venus, which unhappily does not share an amicable relationship with the planet Sun. Besides this, the Sun exists in the 4th house of Taurus that conjointly brings average results to its wearer. Basically, the ruby stone proves average for an ascendant of Taurus. Albeit, an individual of Taurus can wear this gemstone during the Mahadasha or a major period of the Sun. Apart from this, if the sun is located either in the 10th house or 4th house even then a person can wear ruby gemstone or Manik gemstone. Born ascendants can wear Manik gemstone when Sun lives inauspicious houses such as a 3rd or 11th house. A well-settled ruby in the above-mentioned houses will bring wealth, fortune, wisdom, wit and intellect to a person. Furthermore, an ascendant of Gemini may wear this stone while the major period the sun after seeking the advice of an astrologer. The ruby gemstone won’t provide blissful results to its wearer. Therefore, the ascendants of cancer should avoid this stone because moon the ruler of this zodiac sign does not share a positive relation to the Sun. Therefore, it should be adopted while major periods of the Sun and one should only wear a certified ruby gemstone to ensure positive results. Sun governs the Leo sign, thus, it is considered as the birthstone of Leo sign. Hence, those individuals whose zodiac sign is Leo must wear gemstone ruby to secure enormous benefits which are being provided by the sun. It offers good health, fortune, wealth, prosperity and gain in business. Besides this, if Sun resides in the following positive houses 5th, 9th or 11th house of ascendants of Leo will specifically act in favor of the individual by bringing positive result in every field of life. 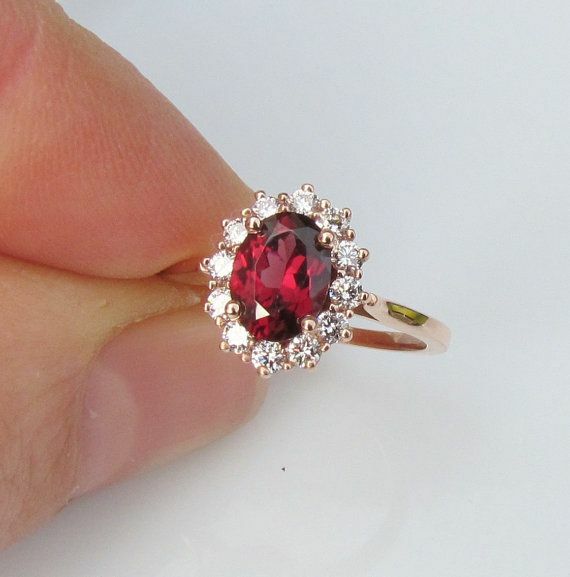 Along with this, the ruby stone can be worn if sun exists in the 3rd or 6th house of an individual. A person can also wear this stone during the major period of the Sun. This sign Virgo has been ruled over by planet Venus that indeed shares an average relation with the potent planet Sun. 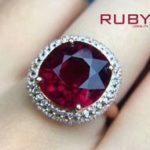 Subsequently, wearing ruby or Manik stone will not either cater to positive results or negative results for the individuals of zodiac sign Virgo. Besides this, an individual of Ruby must avoid wearing this stone categorically if Sun exists in 12th house of its wearer because staying in that house it will create immense problems for its wearer. Ascendants can also wear this ruby stone to enjoy the special benefits offered by the substantial planet Sun. However, before subscribing natural ruby stone, a native of Libra must analyze the position of Venus and Saturn if these two planets do not exist in the horoscope of a Libra only then they can wear ruby stone. Apart from this, a Liberian can also wear this stone during the major period of the sun. However, many peoples’ worries about the price of the ruby or the Manik gemstone, though they should know this fact that wearing natural ruby gemstones will endow them with an enormous number of benefits. The ruler of Scorpio is Mars that shares a great relationship with the ruler of ruby which is the Sun. The Sun stays at the 10th house of the Scorpio birth chart that altogether generates astounding positive results for its wearer. The Manik or ruby stone reinforces the financial condition of a person and spread love and happiness in the married life of a Scorpio native. Along with that being a resident of the 10th house, the sun will play a pivotal role in the life of the Scorpion by reclaiming the lost reputation in society and on the professional front. Therefore a person who is facing obstructions in his/her professional career should wear ruby stone after seeking the permission of an astrologer. Regardless of this, a person may also wear ruby gemstone during the major period to obtain endless benefits offered by this stone. The natives those born in between 22 November to 21 December are considered to be the natives of sun sign Sagittarius. The yellow sapphire is contemplated to be the birthstone of sun sign Sagittarius. The Jupiter shares the friendly relation with the Sun, therefore, it is quite benign for the ascendants of Sagittarius to wear this gemstone. Additionally, if sun places in its own house it will bring enhanced confidence, longevity, enthusiasm, creativity, and wisdom. The Capricorn sign is being ruled over by the ferocious planet Saturn, which shares an unpleasing relation with planet Sun. Thus, it is not advisable to wear a ruby stone for Capricorn ascendants. Therefore, they should refrain from wearing this stone and wear it only after having a word with astrologers. The Aquarius is considered as an eleventh zodiac sign and those natives who are born in between 23 January to 22 February is acknowledged being the natives of Aquarius. The Saturn is the ruler of Aquarius and unfortunately, it does not share the favorable reason with Sun that is the ruler of Ruby stone. It rules over the 7th house of native horoscope which altogether develops an inimical relation. Thus, natives of Aquarius should not wear this stone. However, they can wear ruby gemstone during the major period of the Sun and that too also seeking advice from a well-known astrologer. The Pisces is acknowledged to be the 12th zodiac sign. Those people whose birthday have fallen between this time, the period being is regarded as the Pisces ascendant. This zodiac sign is being governed by Jupiter, which shares an amicable relationship with the Sun the ruler of stone ruby. 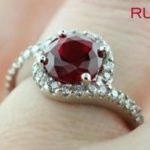 Thus, Pisces individuals can wear real ruby stone in the ring finger of the right hand on Sunday morning to secure enormously positive results that confirm that Sun is an important planet for this zodiac sign. Whereas, if the sun governs the 6th house of Pisces then it invokes unpleasing events in the lives of its wearer. Therefore, before wearing this stone a person should talk to an astrologer about the positive and negative effects of the ruby gemstone.